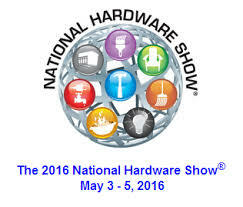 We are going to be flying over to Las Vegas for the National Hardware Show on the 3rd-5th May 2016! The USA’s largest Hardware Show will be hosting 1000’s of exhibitors from all over the industry. It takes just one trip to discover the newest products, see the biggest brands, and connect with the entire hardware & home improvement industry—all under one roof. http://klyneandklyne.com/wp-content/uploads/2016/03/national-hardware-2016.jpg 207 243 Imogen http://klyneandklyne.com/wp-content/uploads/2016/10/klyneklyne-logo.png Imogen2016-05-01 10:43:262016-03-15 10:51:54Say Hello at the National Hardware Show!